Upto 25% Scholarship on Limited Seats!! 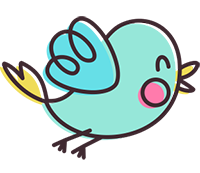 Busy Bees Kinderland is the best pre-school for your child. Founded in 2002, it is a feeder to Green Valley High School. Stepping in a school is the child’s first step into the real world. This is the first time he/she leaves the comfort of home. At Busy Bees, we present an extended home environment for your child to make him/her feel at ease. We offer a well-balanced curriculum to ensure a child’s overall development. We ensure that he/she is ready and well prepared to step into the next phase, i.e. Primary Section once graduated. The first step to school life.Children Experience a new environment out of the school. A building block of pre school years.Children enjoy learning new concepts and theme, and delight in learning alphabets and numbers. Starting point of reading and writing. 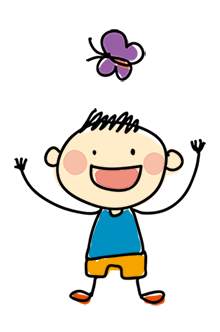 Children learn to read and write.Enjoy playing with numbers and relish is fun outdoor games. Threshold of formal schooling.Children practice reading and writing English.They also enjoy hands on activities,public speaking, stage performance, and so forth indepndently. Playing in the sand can be a great opportunity for children to have unstructured play time. The school has a well-equipped library to inculcate a reading habit among young kids. A well-designed doll house is provided to enhance their socio-emotional development and also to encourage and boost their role-playing skills. A highly maintained gym room is provided to help children stretch out and enjoy. A place for children to watch educational CD’s and programs to broaden their learning through technology. Busy Bees is designed to make the child’s stay at school pleasant and invigorating with air-conditioned classrooms. To ensure safety and security of each child, the entire school is now under CCTV surveillance. Children are given an opportunity to cool off during the scorching summer months in our splash pool. Magictouch helps to build a strong foundation that enables children to gracefully sail through the ups and downs of life through value education. 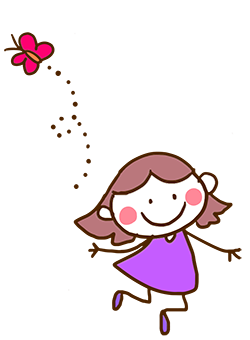 2 hour, weekly classes for children from 4 to 8 years of age. Children are introduced to the lives of Spiritual Masters and great personalities belonging to various religious traditions the world over. You welcomed my little boy into your classroom in the beginning of the year with your arms wide open. The first and the sweetest achievement was “NO CRYING” when it was “GOOD BYE MUMMA TIME”….. Under your care he has learned so many good things that he should learn at home with us. He has learned patience, inclusion and to love other kids. He has experienced the intense warmth that has come from his absolute trust in you…. 'Busy Bees' is a land of love, care, compassion and knowledge. For me, as a parent, the journey with the school has been wonderful as I witnessed tremendous change in my child. The personal attention given to children, considering them as their own is highly commendable. The school caters to the individual needs of the children, which is ultimately is seen in the holistic development. From the bottom of my heart I would like to thank the entire team of 'Busy Bees' for mentoring my child and facilitating the best. Ritika NagpalMother of Nidhan, Jr. Kg. Our vision is to create a school wherein the teachers fill joy and motivation in the children and ensure that happy and responsible citizens flourish. Our mission is to develop talented and responsible global citizens. Our emblem represents a honeybee-always busy in collecting nectar from flowers and producing honey, which is necessary for the society. Just like the bee our children are equipped to collect the nectar of knowledge which they will eventually reflect to the society by being responsible citizens. 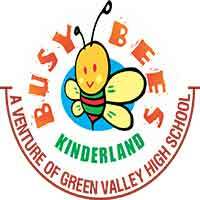 Busy Bees Kinderland and Green Valley High School are run by Shri Vallabhacharya Education Trust. The trust was established in 2002 with the sole purpose of providing world-class, quality education to all its students and to enhance and broaden their knowledge and skill set. We make learning joyful and meaningful with fun games and activities thereby enhancing all-round development. Our approach is to provide a secure environment for every child to and grow develop individually. We strive to motivate and encourage children to reach his/her full potential. We believe that a child’s first experience of school should be both exciting and stimulating. Our Play Group is vigilantly structured to ensure that the child’s transition from home to school is a positive and rewarding experience. We encourage parents to accompany their children in the classroom for the first few days until they are well settled. Our teaching also includes regular art and craft activities, singing, role play, free play, story-telling, etc to make learning a joyous experience. We also introduce per-reading and per-writing skills along with practical numeracy. Our teachers work towards establishing a balanced atmosphere of acceptance and challenge. We simulate such a environment for children to ensure they remain calm and composed to concentrate yet free enough to experiment and make mistakes without feeling exposed or self conscious. We aim to provide a firm foundation for basic skills such as language and numbers. Therefore we incorporate numerous projects, enactments, narrations and various value-adding activities. Such activities encourage the children to be more aware and enhance their self confidence and knowledge. We also include field trips for Nursery, Junior KG and Senior KG to facilitate the classroom learning to a real life setting. Emphasis is given on the development of early skills such as comparison, sorting, matching, ordering, sequencing and counting. This helps to build a solid foundation for communication skills, both verbal and non-verbal by enhancing vocabulary and fluency in expressing thoughts and conveying feelings to others. Focus on development of physical control mobility, awareness of both spacial and manipulative skills in indoor as well as outdoor environments. Focus is given on exploring sounds, colors, texture, shape, form and space in different dimensions and to enhance the child’s imagination, listening and observation skills. Children are encouraged to work, play, co-operate and function in groups as well as an individual. We motivate children to understand our environment, the people around and various features of the natural and man-made world. We lay strong foundations for historical, geographical, scientific and technological learning.